After a prolonged tug-of-war among its partners, the 'mahagathbandhan' (Grand Alliance) in Bihar finally allocated all of the 40 Lok Sabha seats Friday, announcing candidature of Misa Bharti from Pataliputra, Congress' Meira Kumar from Sasaram and RJD leader Abdul Bari Siddiqui's from Darbhanga. As per the seat-sharing formula, the RJD has got 20 seats, out of which it is giving up one for the ultra-Left party, the Congress has nine, followed by five for Upendra Kushwaha's RLSP and three each for Jitan Ram Manjhi's HAM and Mukesh Sahni's VIP. The announcement was made by Tejashwi Yadav at a press conference on Friday, but absence of any senior Congress leader on the occasion showed the party's displeasure over arm-twisting by Lalu Prasad's RJD. The announcement of Abdul Bari Siddiqui's name from Darbhanga draws the curtains on possibility of sitting MP Kirti Azad seeking re-election as a Congress candidate, who recently joined the party after quitting the BJP. Although Siddiqui is a senior leader and has held important ministries besides having served as leader of opposition in the state assembly, his candidature has also ruffled the feathers of RJD strongman Ashraf Fatmi, who has represented Darbhanga a number of times and was the runner-up in 2014. 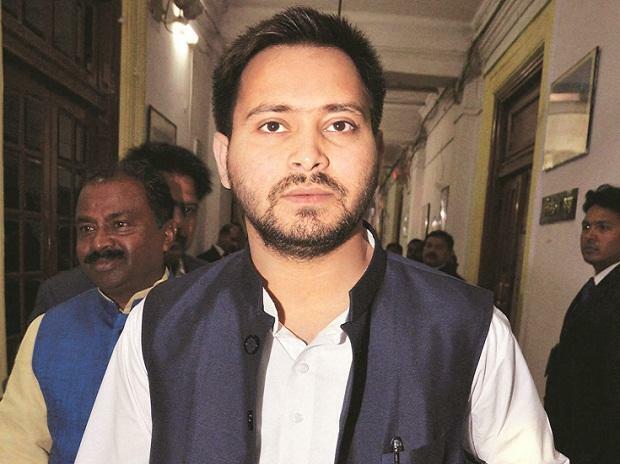 Tejashwi Yadav also announced that the RJD would be fielding Tanveer Hassan in Begusarai, the party candidate who came in second in 2014, a decision that may queer the pitch for CPI's Kanhaiya Kumar who is taking on firebrand BJP leader Giriraj Singh. Withholding the name on Sheohar seat could be seen as an attempt to mollify Tej Pratap Yadav, who resigned from the post of patron of the RJD student's wing Thursday, to push candidatures of his favourites Angesh Kumar and Chandra Prakash from Sheohar and Jehanabad, respectively. Former state minister Surendra Yadav's name was declared Friday for the Jehanabad. Party MLA Chandrika Rai, whose daughter Aishwarya is married to Prasad's elder son Tej Pratap Yadav, would be contesting from Saran, which was unsuccessfully contested by Rabri Devi in 2014. Earlier known by the name Chapra, the seat was a pocket borough of Lalu Prasad, who had got elected from there a number of times. Hina Shahab and Veena Devi, who are wives of gangsters-turned-politicians Mohd Shahabuddin and Anant Singh respectively, will also be in the fray. Shahab will be the RJD candidate from Siwan, once considered a citadel of her jailed husband. Neelam Devi, whose husband Anant Singh is an Independent MLA, will be the Congress nominee from Munger. Yadav also announced that the Congress high command has cleared the names of Supaul MP Ranjeet Ranjan from her sitting seat and Ashok Ram from Samastipur, held by Ram Vilas Paswan's younger brother, Ram Chandra Paswan Former Lok Sabha speaker Meira Kumar will be the Congress candidate from Sasaram which she lost to BJP's Chhedi Paswan five years ago.